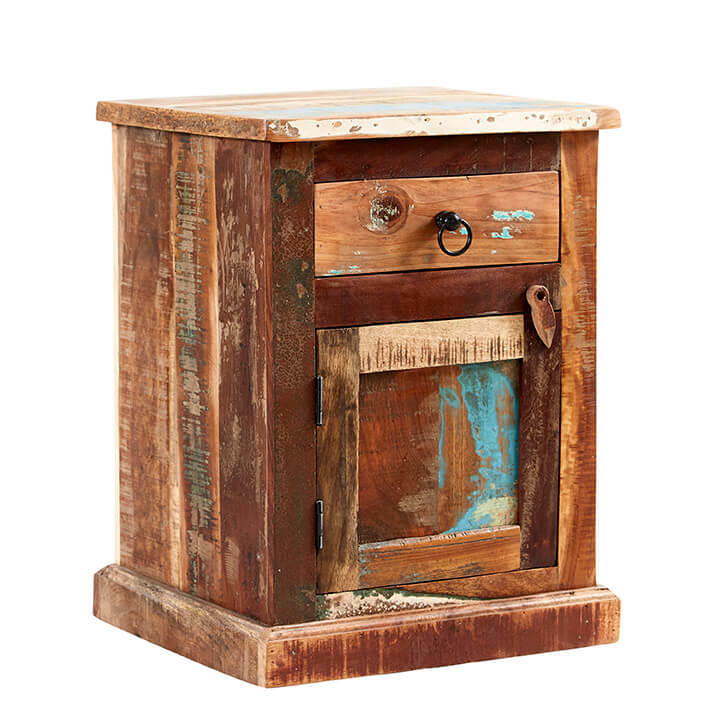 This rustic piece makes a fantastic bedside or sofa table. 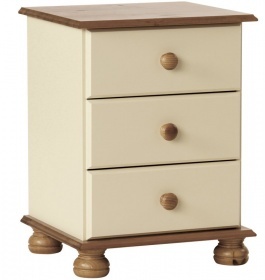 Useful drawer at the top, perfect for keeping smaller items within easy reach. Whilst the handy cupboard is great for keeping clutter hidden out of sight. 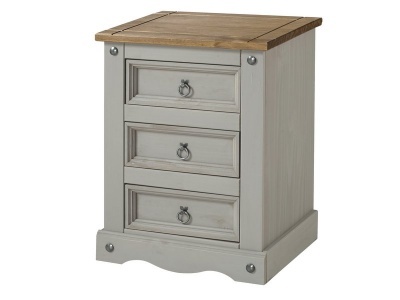 The ring pull and wooden handles add interest to the bedside table. 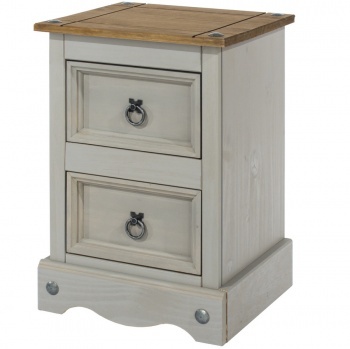 Made from 100% reclaimed solid wood with the original markings and colour variations of the different woods left to give each bedside table a unique feel.